Were on deck for Sangha to read. I am committed to . . . cultivating loving kindness, compassion, joy and inclusiveness – which are the four basic elements of true love – for my greater happiness and the greater happiness of others. Practicing true love, we know that we will continue beautifully into the future. What better topic at this time of year than to share how these four elements comprise not just true love, but how they make up our true continuation? When Thich Nhat Hanh discusses these four elements, which you can watch here and read about here, he stresses that these elements are about helping ourselves and others experience love, reduced suffering, joy, and nondiscrimination. To help ourselves and others experience these things, we first have to understand ourselves and others so that we know what will bring feelings of love, reduced suffering, joy, and inclusiveness. To understand, we have to look and listen deeply into ourselves and our loved ones so we can see beyond our preconceptions of what we think might work, and instead hear our own heart’s true longings and our friends’ real needs. Very often, we have wrong ideas about what will bring us true happiness, perhaps relying on society’s or our family’s teachings instead of our own learnings. Similarly, we don’t listen well enough to really hear our loved ones, and we may instead impose our own views of what brings happiness on them. 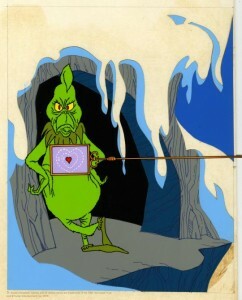 Dr. Seuss’s story of the Grinch Who Stole Christmas seems to embody this dynamic. The Grinch thought Whoville’s Christmas happiness came from presents and feasts, but he learned instead that it came from a spirit of togetherness and peace. The Grinch personified a complete lack of the four qualities—he showed no lovingkindness, compassion, joy, or inclusiveness. But once he heard that the citizens of Whoville could embody these qualities without worldly goods or the need for the usual trappings of the holidays, they say his heart grew three sizes in all. That seems to embody the teaching of the Third Mindfulness training—that we should love truly, and let our hearts embrace all. And when we do that, our contribution to the world is immense; we give the gift of true love, which is our best continuation by far. This Thursday we’ll recite the Five Mindfulness Trainings and then have a Dharma discussion. Things you might consider include: How do you live this Training? Can you embody True Love, especially during the stresses of the holidays? Do you identify more with pre-Christmas Grinch, post-Christmas Grinch, CindyLou Who, or perhaps Max the Dog? The text of Dr. Seuss’s “How the Grinch Stole Christmas” is below, courtesy of MIT’s website. I hope you can join us to share your understanding of True Love. But the Grinch, Who lived just north of Whoville, Did NOT! They’d sing! And they’d sing! And they’d SING! “All I need is a reindeer…” The Grinch looked around. Leaving crumbs Much too small For the other Whos’ mouses! “PoohPooh to the Whos!” he was grinchishly humming. But the sound wasn’t sad! Why, this sound sounded merry!